'100 Heads all the same but different', Clay and wood, 2221x51 cm. Selected for The Threadneedle Prize 2013. '100 Heads all the same but different'. Clay and wood.Selected for The Threadneedle Prize 2013. 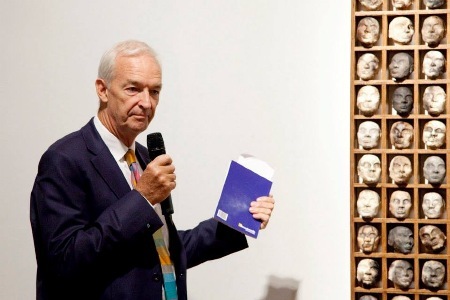 John Snow talking about my work during 'critics view' at the Mall, London.